Applying online is the fastest way to obtain your medical license! Healthcare Licensing Services, Inc. specializes in helping physicians apply for medical licensure in the state of Maine. We will research your entire professional history from Undergraduate School to date to obtain information such as mailing addresses and contact information for the purpose of verifying your credentials to the Maine Medical Board. We are also able to research Medical License numbers, issue dates, and expiration dates. We will assure you professional completion of your Maine medical license application, as well as professional completion of all letters and forms necessary to request verification of your credentials for the Maine medical board. Your Maine Medical License application will be assigned to one file manager in our office who will be your point of contact. You will have continuous access to your file manager during the entire application process. An update on your file will always only be a simple phone call or email away. We will provide detailed instructions for any step of the process that must be completed by you (i.e. signature, notarization, finger printing). In most cases all that will ever be required of you is a signature, the rest will be handled by us. 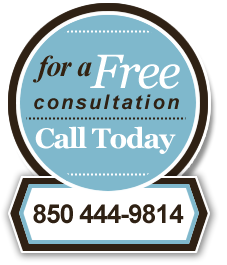 Click here to contact us and learn more about our Maine medical license service. Maine is the largest and northernmost state in New England. It’s known for its coastline, which is famously rocky and dramatic-looking, and for its forested interior. The population of Maine is concentrated along the coast, with its major cities, Portland being the largest (pop. 64, 249), being located along or not far from the water. Maine is one of the nation’s few sources for lobsters and maple syrup; potato farming is also big in Maine. The state’s tourism industry is growing every year, and people love to visit Maine to take advantage of the hunting, fishing, and skiing. © 2000 - 2019 Healthcare Licensing Services, Inc.